I saw this on a Bing search today and just about fell out of my chair. I knew I had to post it. I think many of us as collectors have asked ourselves from time to time if we have taken our collection a bit too far. I know I have and in the end I just say “ Hey, this makes me happy” and go with it. I know some of my friends just “Don’t get it” about my doll collection but…as any true friend would…they accept it and support my choices. Doll collecting isn’t for everyone but it is definitely for me…and I like that. This entry was posted on March 12, 2011 by raberry65. 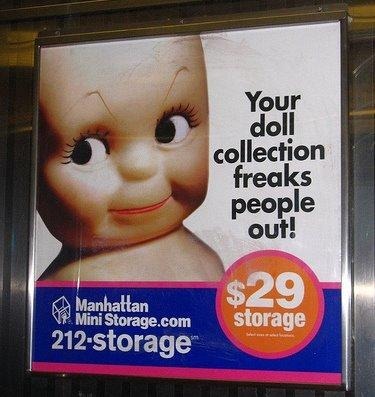 It was filed under Doll Humor and was tagged with Doll Humor.